Toyota C-HR Running Costs, MPG, Economy, Reliability, Safety | What Car? The C-HR 1.2 petrol is priced broadly in line with its similar-sized rivals, including the Seat Ateca and Skoda Karoq. However, both of those rivals promise more miles to the gallon and will hold onto their value better in the long run, too. Insurance and servicing costs for the C-HR 1.2 petrol are nothing to write home about, while CO2 emissions are also disappointingly high. 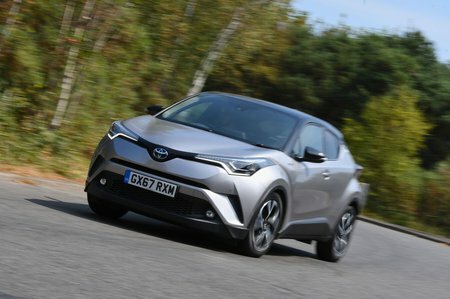 The hybrid version of the C-HR makes far more financial sense. If you’re a company car driver, it’ll cost you less in benefit-in-kind (BIK) tax than the majority of its rivals, courtesy of seriously low CO2 emissions. A promise of up to 60mpg is also appealing, although based on our experience with the Toyota Prius (which uses exactly the same hybrid powertrain), 50mpg in the real world is more realistic. We’d stick with entry-level Icon trim or mid-rung Design. That’s partly because the posher trims get quite pricey, but mainly because you get all of the must-haves as standard, including dual-zone climate control, automatic lights and wipers and even adaptive cruise control. 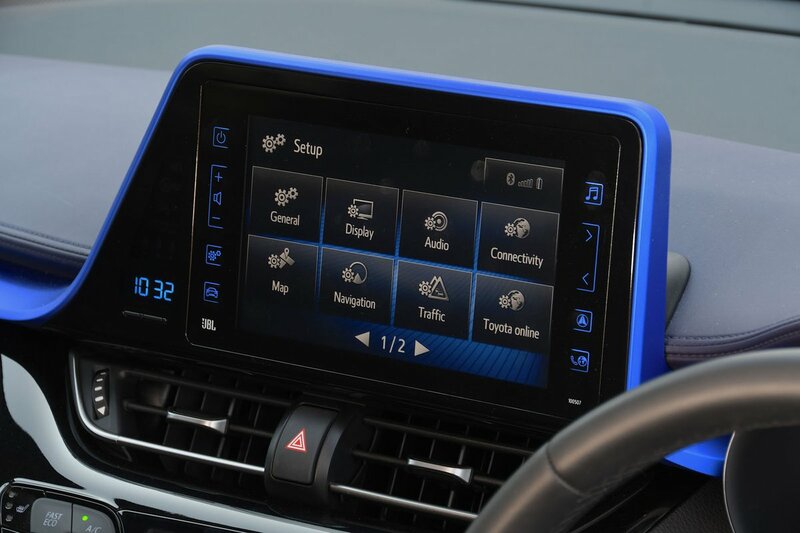 You also get the 8.0in touchscreen discussed in the infotainment section. Upgrading to mid-level Excel trim adds sat-nav and leather seats, so it's worth considering if you love life’s luxuries. However, range-topping Dynamic is too pricey to recommend. Headline-grabbing recalls aside, Toyota actually has a stellar reliability record. The Japanese brand finished third (out of 31 manufacturers) in the 2018 What Car? Reliability Survey, and the C-HR comes with a five-year/100,000-mile warranty as standard, bettered only by the seven-year warranty offered by Kia on the rival Sportage. The complex batteries and electric motors on the hybrid version may ring alarm bells in your head, but Toyota has been perfecting the technology for more than a decade in the Prius, so there’s no reason to expect any glitches. All versions of the C-HR come with lots of safety kit, including a pre-collision system that can automatically apply the brakes to stop you running into the car in front. It can even recognise pedestrians. You also get lane departure warning and automatic high-beam assist for the headlights. What's more, blindspot monitoring and rear cross traffic alert (which warns of approaching cars when you’re backing out of a driveway onto a road) are standard on range-topping Excel and Dynamic trims and optional on entry-level Icon. 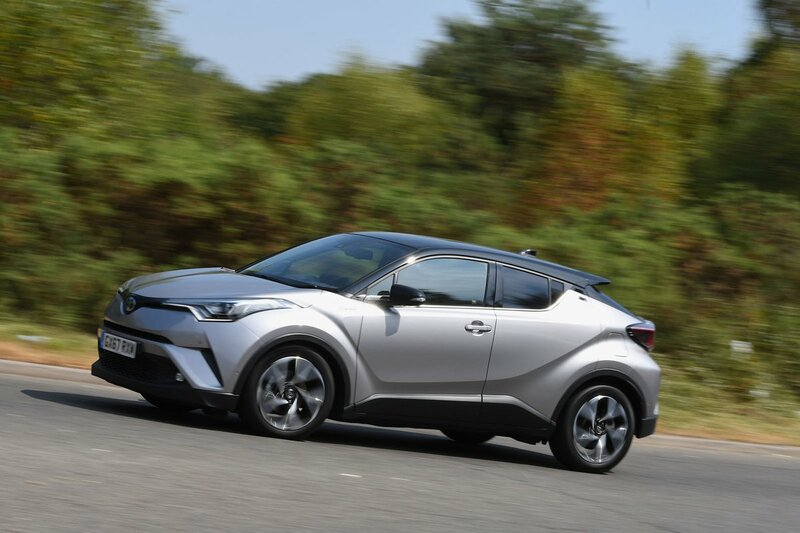 But how well is the C-HR likely to protect you and your family if an accident proves unavoidable? Well, safety body Euro NCAP awarded excellent marks for adult occupancy crash protection, but the Seat Ateca proved better at keeping children safe from harm.